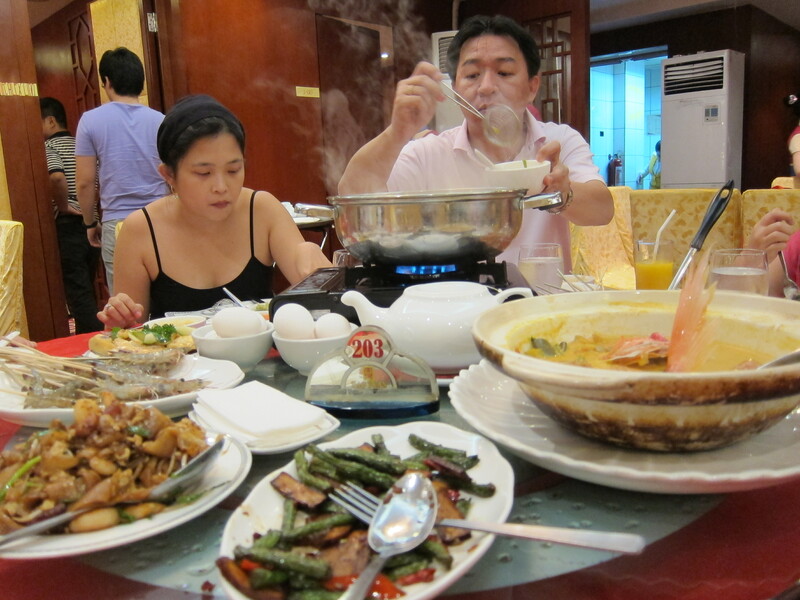 Achie invited us to have dinner with her family at Tao Yuan Restaurant tonight. So after an afternoon spent in the Nail Spa Lounge (and hubby and mom-in-law at a Chinese clinic) at NorthEast Square in Greenhills, we headed off to Manila for Tao Yuan. Reservations have been made so we were quickly ushered to the 2nd floor. 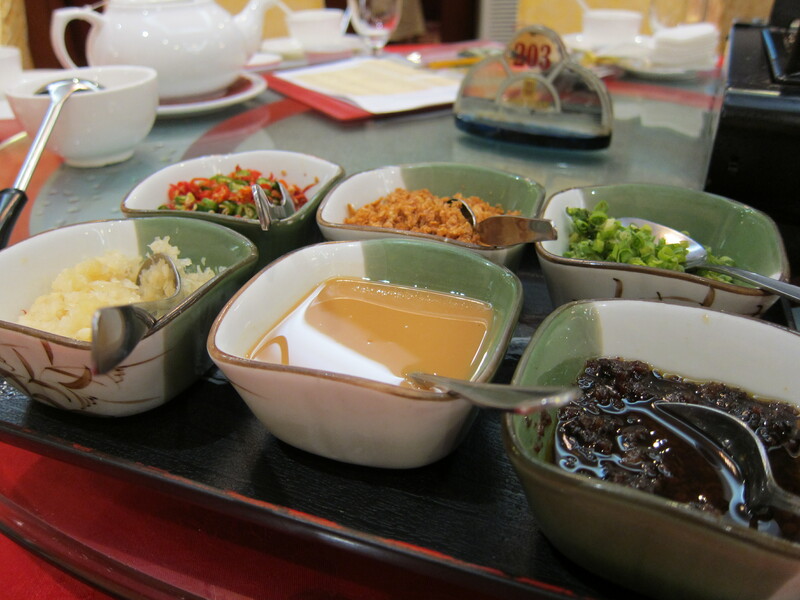 Tao Yuan is touted to be the best Singaporean restaurant here in Manila. A newspaper clipping prominently placed at the entrance hailed their Hainanese Chicken as the best in town. Hence, this is one of the must order dishes when you come to this restaurant. 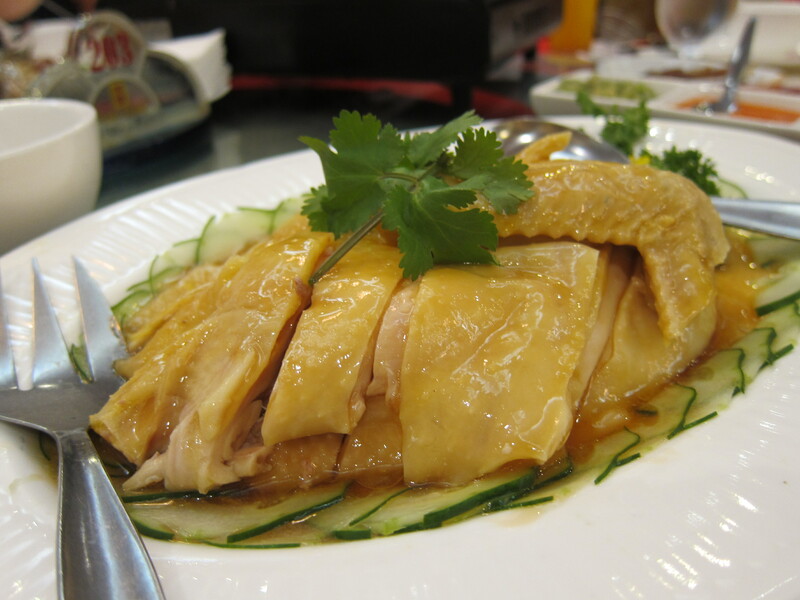 The chicken has the right combination of fat and lean meat. Yummy! We came here tonight for their Shabu shabu. I think what makes their Shabu Shabu different is the sauces they serve up with it. The crispy garlic bits combined with the peanut sauce and the soy sauce creates a perfect sauce blend for the steamed viands. We ordered a combination of clear soup / broth and sate soup. I also liked their fish balls and meat balls (Not sure if this was made in-house or ordered elsewhere). 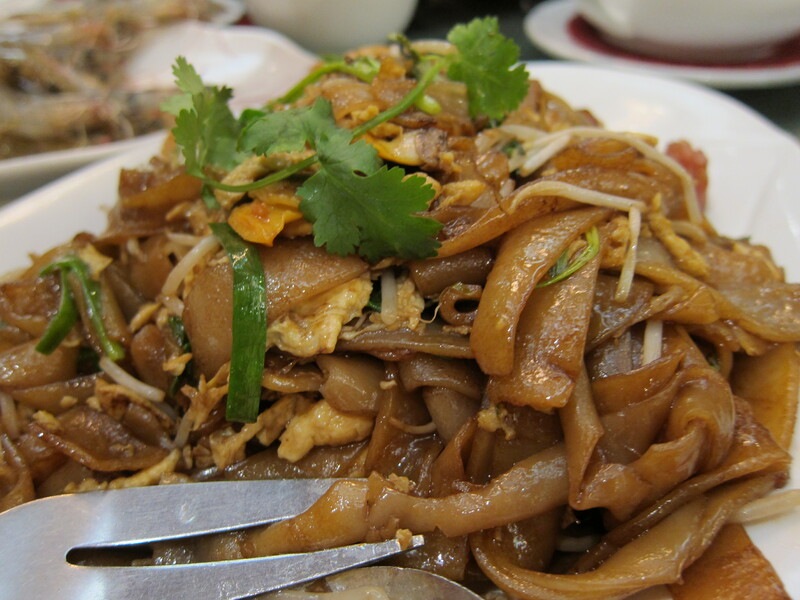 We also ordered their String beans, Char Kway Teow and Fish Curry Head. 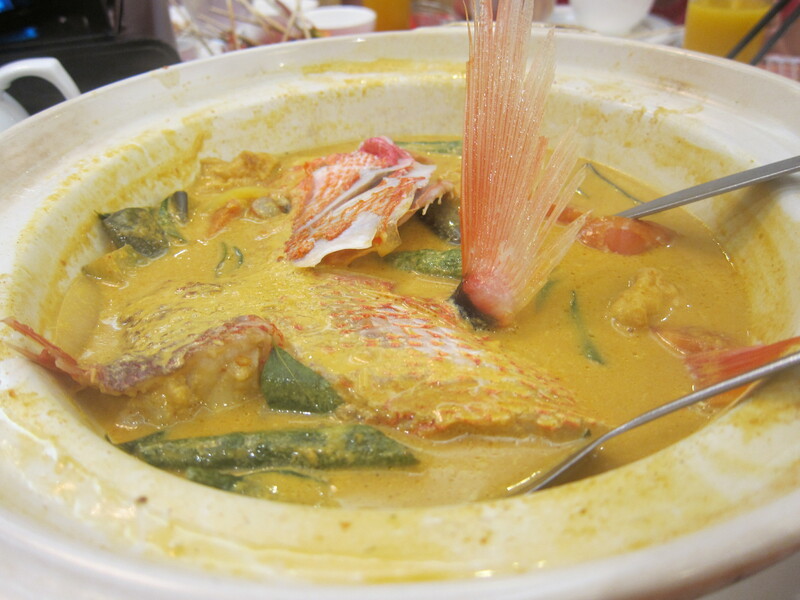 The Fish Head curry is not on the menu but was previously available. They normally run out of stock early in the evening. Luckily, it was available tonight. The chorizo on the Char Kway Teow was what I liked (I have a bias for chorizos). The string beans was also well cooked. 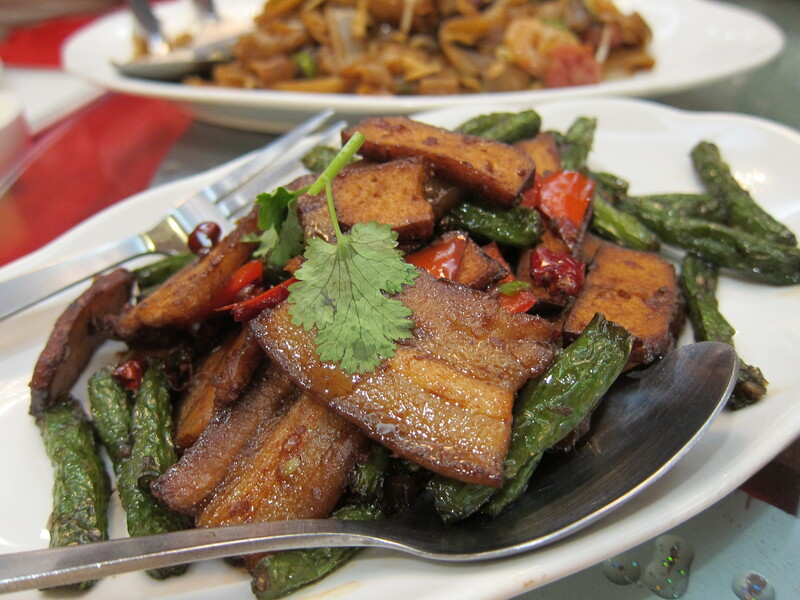 The tofu and meat complemented this vegetable dish well. We were given Mango Sago Cream as compliments for dessert.